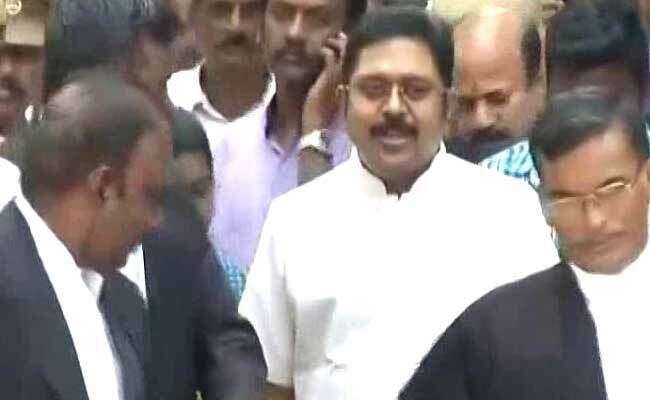 New Delhi: AIADMK (Amma) leader TTV Dinakaran has confessed to meeting Sukesh Chandrasekar, the arrested middleman in the EC bribery case, assuming he was a high court judge, as Delhi Police, which quizzed him for the third day in a row, grilled him for almost seven hours on Monday. Mr Dinakaran, who is accused of trying to bribe an Election Commission official in a bid to retain the 'two-leaves' symbol of AIADMK, however, maintained that he did not pay any money to Mr Chandrasekar in this regard, police said. Mr Dinakaran reached the Crime Branch Inter State Cell office in Chanakyapuri around 3:30 pm, even as the police started by interrogating his personal assistant Janardhan. 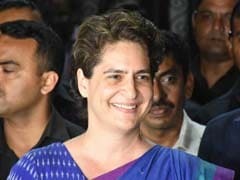 They also quizzed his long-time friend Mr Mallikarjuna, who has been accompanying him everywhere ever since Mr Chandrasekar was arrested, police said. It was only around 6 pm that Mr Dinakaran's questioning began and came to an end around an hour post-midnight, they said. On sustained quizzing, Mr Dinakaran said he had met Mr Chandrasekar, who had posed as a high court judge and sought to help him in the matter, police sources said. However, he denied paying money to the middleman, the sources said, adding the Crime Branch officers also confronted Mr Dinakaran and Mr Chandrasekar. He has been called for questioning again today at 5 pm. B Kumar, Jayalalithaa's lawyer and her key aide, also came to the Crime Branch office in Chanakyapuri late last evening. He is likely to be questioned tomorrow in connection with the case, they said. The leader had come under scanner after the arrest of the alleged middleman Mr Chandrasekar and had since maintained having no idea about him. On Sunday, he was grilled by the police for 11 hours. The controversial leader was earlier summoned by Delhi Police at his Chennai residence in the case. Having been appointed as deputy general secretary by jailed AIADMK chief V K Sasikala, Mr Dinakaran has been isolated in his party amid moves to merge rival factions led by Tamil Nadu Chief Minister E K Palaniswami and his predecessor O Panneerselvam. A powerful section of the ruling AIADMK (Amma) recently revolted against Sasikala-Dinakaran leadership. The development came after Mr Panneerselvam, who is leading the rival faction, demanded ouster of Ms Sasikala and Mr Dinakaran as a condition for the merger. Mr Dinakaran later announced he would stay away from party affairs and that he could be removed only by Ms Sasikala. Ms Sasikala is at present serving a four-year jail term in Bengaluru in a disproportionate assets case.